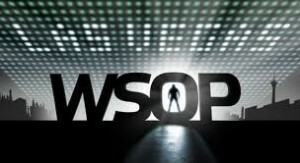 The World Series of Poker Main Event has new chip-leader, and after the chip-leader started with 2009 $50k HORSE Champion to David Bach, it was then passed to online star Phil “USCPhildo” Collins, and then to 2011 WSOP POY frontrunner Ben Lamb, but it ended the night in the hands of a relatively unknown player by the name of Ryan Lenaghan. Lenaghan has eight career cashes according to thehendonmob.com database, with the bulk of those coming in the deep south for the Louisiana native, including four WSOP Circuit series final tables, two of which were Main Events. With a nearly 3 million chip lead over his next closest competitor Ben Lamb, Lenaghan has some wiggle room, but in such a stacked field fortunes can change quickly, and Lenaghan has drawn an incredibly tough table (Table 312) which includes John Esposito, David Bach, and David “Doc” Sands –fortunately for Lenaghan those players are in the one, two, and three seats respectively while he sits in the four-hole. I’d bet just about any amount that this will be the featured table. Another very tough table looks to be Table 314, which includes JP Kelly, Tom Koral, Frank Sinopoli, and Minh Nguyen. My guess is that Table 314, along with Table 340, are the likely candidates for the secondary featured table. Table 324 has Phil Collins, Ericka Moutinho (the last woman standing), and Tri Huynh. Table 326 boasts Ben Lamb, Bryan Devonshire, and 2011 WSOPC National Champion Sam Barnhart. Table 334 has Lars Bonding and Steve Brecher, both men have quietly made their deep runs in the Main Event under the radar. Table 336 boasts Tony Hachem (brother of 2005 champ Joe Hachem), as well as Per Linde, but the table has very few chips on it, with Linde holding the chip-lead with just 3.75 million, so it will be tough for anyone to really chip up at this table. Table 340 is another very tough table with Andrew “Foucault” Brokos, Sebastian Ruthenberg, and Erick Lindgren, and is definitely a contender for ESPN’s secondary table –or possibly featured. This entry was posted on Monday, July 18th, 2011 at 8:13 am and is filed under Poker News. You can follow any responses to this entry through the RSS 2.0 feed. You can leave a response, or trackback from your own site.